Don’t forget your free timed tickets when they are released every Monday at 12pm because this is one of those art events that should not be missed. 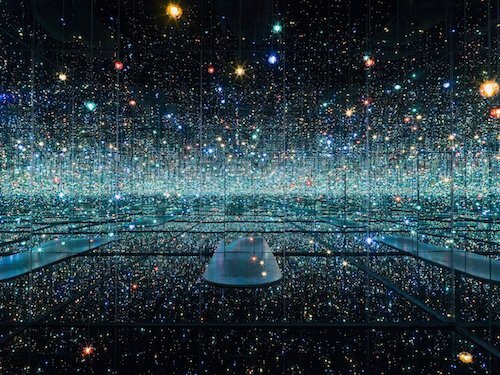 YAYOI KUSAMA: INFINITY MIRRORS installation at the HIRSHHORN MUSEUM in celebration of the Japanese artists 65-year career and features six awe-inspiring rooms with her incredible vision. The best times to visit are Tuesday or Wednesday mornings, if you can, otherwise expect long lines in the afternoons and on weekends. GO!